Celebrate Halloween with an exclusive video interview of Downton Abbey’s Dan Stevens talking about his latest project – Frankenstein (29 Oct). The award-winning actor and narrator has recorded an uncanny audiobook performance of Mary Shelley's timeless gothic novel, an epic battle between man and monster at its greatest literary pitch exclusively for Audible.co.uk, available for the first time ever to listeners in the UK. In Frankenstein, the young student Victor Frankenstein tries to create life, unleashing forces beyond his control, setting into motion a long and tragic chain of events that brings Victor to the very brink of madness. How he tries to destroy his creation, as it destroys everything Victor loves, is a powerful story of love, friendship, scientific hubris, and horror. Best known as Matthew Crawley in the hit ITV drama Downton Abbey, Dan Stevens' other television work includes lead roles in Alan Hollinghurst's The Line of Beauty and Andrew Davies's adaptation of Sense & Sensibility. 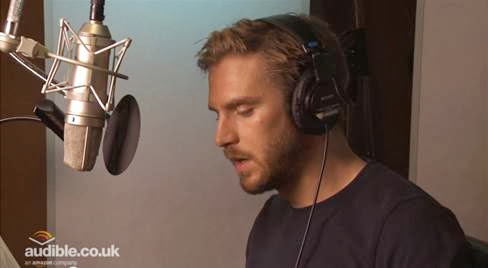 Dan Stevens is also a prolific narrator of audiobooks: his reading of Louisa Young's My Dear I Wanted to Tell You won the 2011 Audiobook of the Year at the Galaxy National Book Awards. He also recorded Stef Penney's The Invisible Ones. The Frankenstein audiobook by Mary Shelley is available only from Audible.co.uk, the UK’s leading provider of downloadable audiobooks.